PEZZANI The Italian tradition of home furnishings meets the will & agrave; to be always in step with the times. This is l & rsquo; soul of Pezzani home collection, an Italian company that produces furniture for home design. In the Pezzani catalog you will find extendable consoles, wall bookcases, modular bookcases and folding chairs, all perfect furnishing elements for a constantly evolving home, updated to the latest trends and in line with today's lifestyle. & Nbsp; & nbsp; The story of Pezzani begins with a folding cart, an innovative project designed by the designer and entrepreneur Giancarlo Pezzani. & Egrave; 1974 and l & rsquo; idea & egrave; immediately considered cos & igrave; revolutionary to deserve a company all for s & eacute; Giancarlo Pezzani founded the company Speedy, a name that he also chose for the lockable trolley of his invention, to indicate the speed; and the ease & agrave; of using the trolley itself. The success that accompanies this creation motivates even more; Giancarlo Pezzani to devote himself to the realization of other design objects of this type, such as practical trolleys for the kitchen, but also trays and tables. & Nbsp; Pezzani Furniture design The story of Pezzani's success; the typically Italian one of a family-owned company that succeeds, after product, to build an excellent reputation in the design furnishing sector. In fact, since its inception, the philosophy of the company has been that of "creating unique objects, with an innovative design, with the taste and the ability" that only a talented craftsman can; acquire & rdquo;. & nbsp; & nbsp; & Egrave; 1992 when the company moved to the three brothers Cristiano, Giovanni and Massimo Pezzani, sons of Giancarlo, who decided to push the design and production in the direction of design furniture. The beginning of this new adventure & egrave; distinguished by the creation of small pieces of furniture, in which the traditional materials of Italian craftsmanship, such as steel, aluminum, glass and wood, are processed with the help of more and more technologies; advanced. With time, experimentation also involves shapes and colors, to ensure a wide and original choice of modern furniture, ranging from modular bookcases to extendable consoles for the dining room. < h2> Pezzani Home Collection The turnaround took place in 2011 and the company became a real design brand, also deciding to change its name to Pezzani Home collection, to indicate not so much the change of course as the specialization in the sector of design furniture. At the same time, giving its name to the company, the Pezzani family confirms the status of founder and owner of a successful design brand. In this way Pezzani Home collection establishes both its own competence and its identity; in the Italian and international market, in which it becomes an increasingly important presence; strong year after year. & nbsp; & nbsp; This new part of Pezzani's history also marks the beginning of the collaboration with important Italian designers and others, with whom Pezzani collaborates for the creation of unique design pieces, which enrich the brand catalog. These names include those of Martin Streitenberger, Dorina Camusso, Antonio Lanzillo, Francesco Sani and the famous design studio Archirivolto by Claudio Dondoli and Marco Pocci. Pezzani Extendable console One of the highlights of the Pezzani catalog is; the extendable console, available in two different styles and a careful selection of materials and finishes, in order to adapt to the style of each home. & nbsp; & nbsp; The extendable consoles are the ideal solution for the contemporary home, thanks to their capacity; to transform from simple tables to spacious tables, perfect to accommodate all your guests during dinners or for family lunches. At the same time, due to their characteristic of being easily disassembled and reclosable, it makes the consoles ideal even when used as tables in the most important environments; small, like apartments in the city. The consoles, in fact, are tables that take up very little space when they are closed and that can be opened with ease & agrave; only when needed. & nbsp; The Pezzani console in the City model can accommodate between ten and twelve people, depending on the variant chosen. & Egrave; 1992 when the company moved to the three brothers Cristiano, Giovanni and Massimo Pezzani, sons of Giancarlo, who decided to push the design and production in the direction of design furniture. The beginning of this new adventure & egrave; distinguished by the creation of small pieces of furniture, in which the traditional materials of Italian craftsmanship, such as steel, aluminum, glass and wood, are processed with the help of more and more technologies; advanced. With time, experimentation also involves shapes and colors, to ensure a wide and original choice of modern furniture, ranging from modular bookcases to extendable consoles for the dining room. 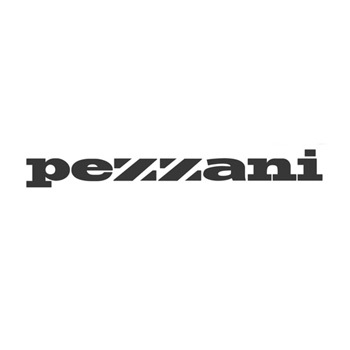 This new part of Pezzani's history also marks the beginning of the collaboration with important Italian designers and others, with whom Pezzani collaborates for the creation of unique design pieces, which enrich the brand catalog. These names include those of Martin Streitenberger, Dorina Camusso, Antonio Lanzillo, Francesco Sani and the famous design studio Archirivolto by Claudio Dondoli and Marco Pocci. The extendable consoles are the ideal solution for the contemporary home, thanks to their capacity; to transform from simple tables to spacious tables, perfect to accommodate all your guests during dinners or for family lunches. At the same time, due to their characteristic of being easily disassembled and reclosable, it makes the consoles ideal even when used as tables in the most important environments; small, like apartments in the city. The consoles, in fact, are tables that take up very little space when they are closed and that can be opened with ease & agrave; only when needed. The Pezzani console in the City model can accommodate between ten and twelve people, depending on the variant chosen.